Are you interested in the relations between Germany, Russia and Poland? 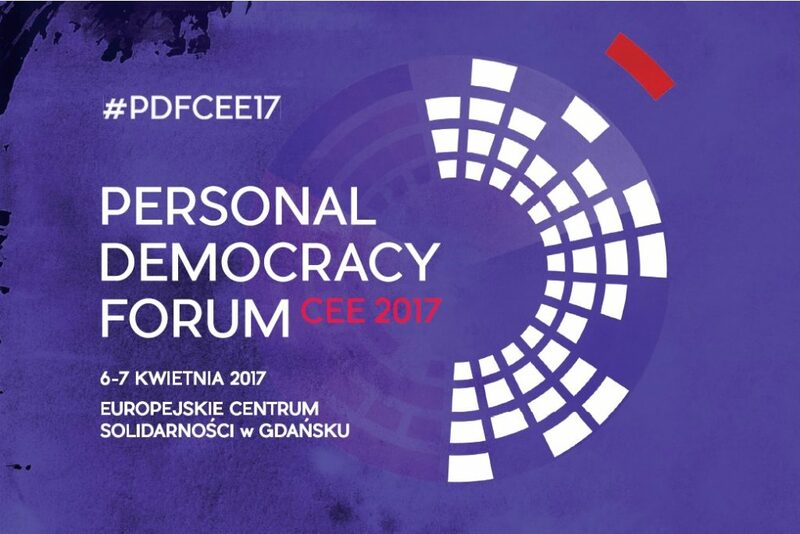 Do you want to exchange your views on the three countries’ common past, present and future with other young people? Would you like to work on different group projects to improve the current relations between the countries? 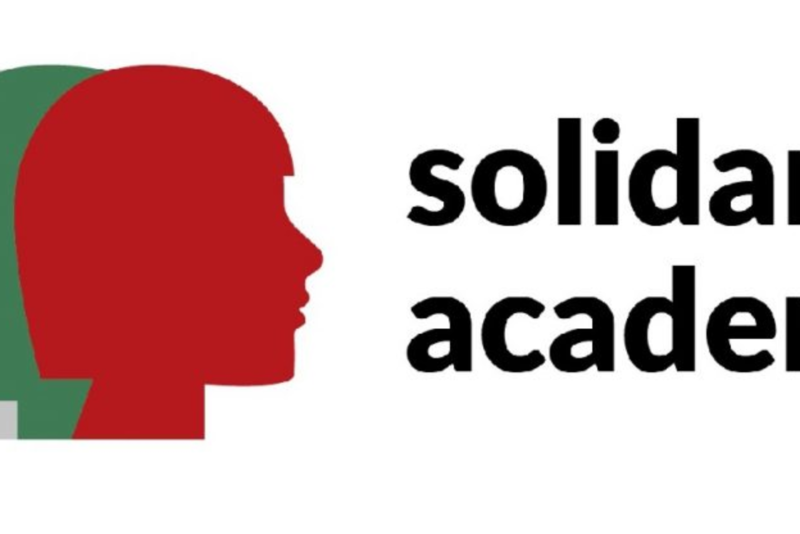 If so, the German-Polish-Russian Trialogue is for you. The goal of the Trilateral Youth Forum is to initiate an open dialogue between young representatives of civil society from Germany, Poland and Russia and to enable them to contribute to the development of sustainable relations between their countries. We offer youth exchange platform through a highly engaging programme including debates, workshops, excursions and discussions with renowned figures from the media, politics, culture and economics from Germany, Poland and Russia. This platform will provide an opportunity to share opinions and present ideas to political and diplomatic representatives of the three countries. The forum aims to create an environment for the development of new project ideas which could be carried out by the participants after the forum. This is one of the key elements of the project. The working language is English; command of German, Polish or Russian as a foreign language is preferred. Accommodation and meals during the forum will be covered. We will provide visa assistance, though participants are solely responsible for any visa service-related fees (approx. 20 euros). Participation fee is 50 euros. Travel costs reimbursement will be: for Polish participants – 65 euros, for German participants – 65 euros, for Russian participants – travel costs will be covered directly by our sponsors. 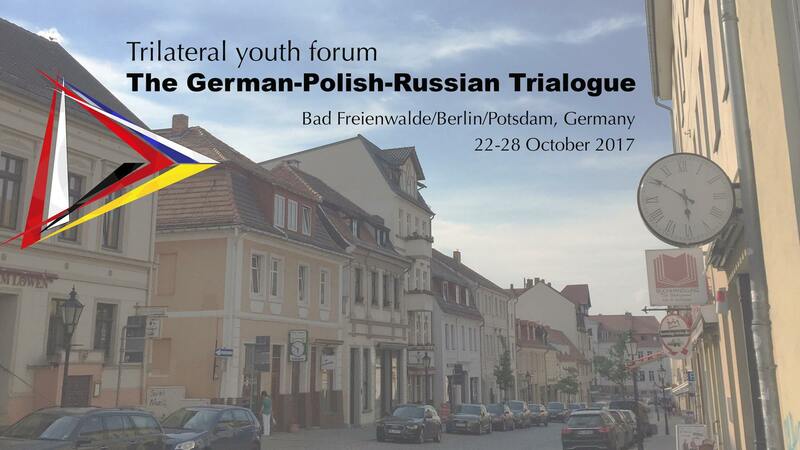 The Trilateral Youth Forum is organized by the Alumni Association of the German-Russian Youth Parliament (DRJUG e.V.) in a partnership with Forum Mlodych Dyplomatow and the Foundation for International Youth Exchange (FMMO), and is sponsored by the Dürr Foundation, the Gorchakov Fund, and Metro. Closing date for applications: 8th September 2017, 23.59 CET. All applicants will be informed about the results via email until 22th September 2017. If you have any further questions, don’t hesitate to write to the Participants Management Team.